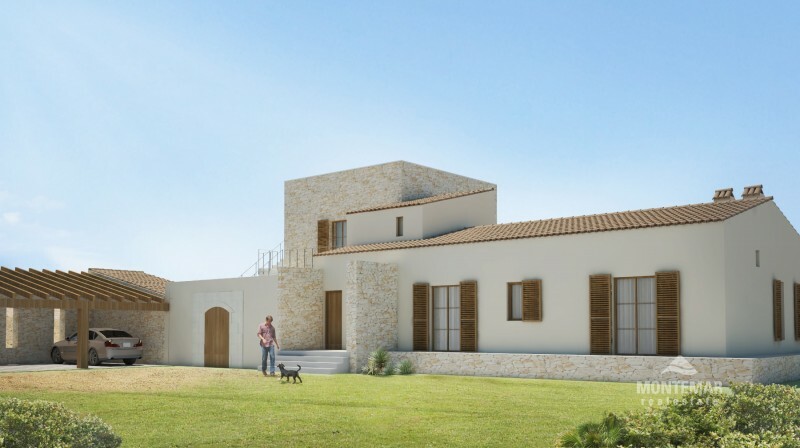 The construction of a country house in Ses Salines with about 350 m² living space and usable area is planned. The construction will be L-shaped. The 14 x 3.50 metre pool will form the centre of the garden. 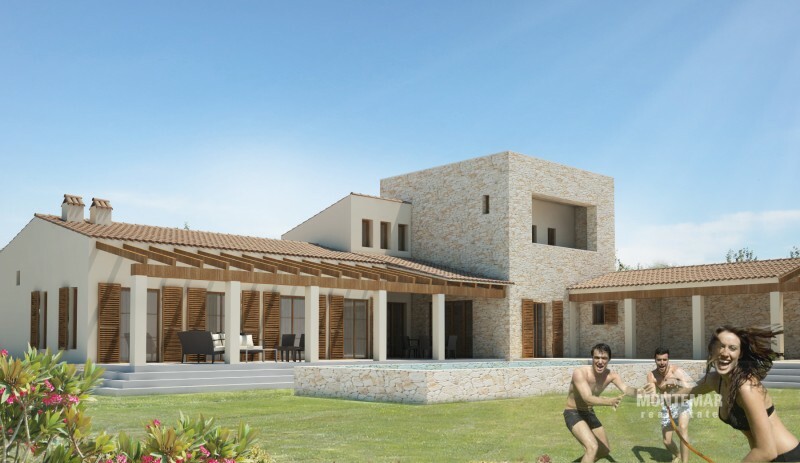 A total of four bedrooms and four bathrooms, patio, covered terraces and an outdoor kitchen are planned. 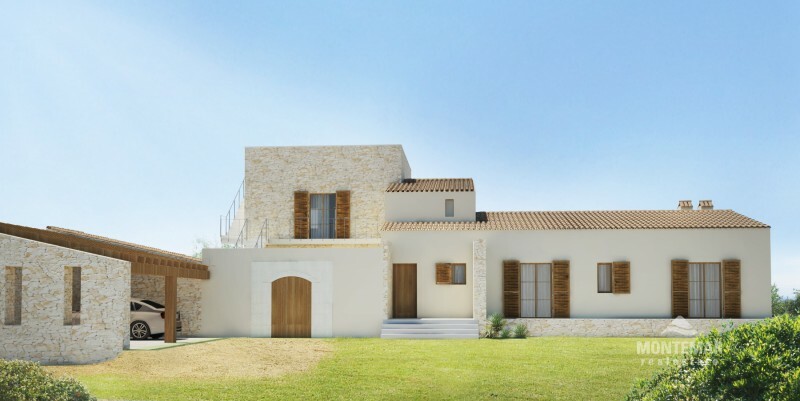 The over 14.000 m² large, rural property is quietly situated, close to the small village Ses Salines. A multitude of beaches and bays, especially the long sandy beach Es Trenc, can be reached in a few minutes. Ses Salines offers a good selection of cafes and restaurants.